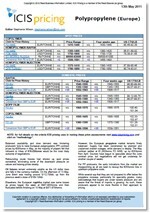 The ICIS Polycarbonate report is published weekly in Asia, Europe and the US and monthly in CIS. These reliable and trustworthy reports can help industry players to keep abreast of the latest news and make informed business decisions. The price assessments largely focus on general purpose (GP) moulding and GP extrusion grades and cover spot or contract, depending on the region. 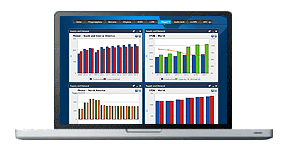 Market intelligence comprises of regional overviews, upstream news, graphs and production updates. Expanded polycarbonate (PC) plant capacity within northeast Asia is expected to lift supply availability in the first quarter of the year. There were few bullish market factors envisioned in the near term, with China’s import demand in part hinging on the recovery its economy. Asia polycarbonate (PC) demand is expected to be broadly stable for most grades in parts of northeast Asia in the first quarter. Such demand is also partly dependent on the country’s recovery of its economy as a whole amid a persistently weak yuan currency against the US dollar that has dampened its import demand. Initial talk for the first quarter indicates that material from Asian producers remains available. This is attributed to tepid demand in China, which means that European producers may choose to export smaller volumes. While some believe that the first quarter will level out, others think that the market will not recover until late in the first quarter. There is some speculation that prices of extrusion-grade material will not fall further. This could encourage buyers to refill inventories to avoid rising prices, although as the first quarter is quiet for the construction industry, this is not guaranteed. There is little clarity about how strong demand from the automotive industry will be. Supply of PC was expected to remain steady in the fourth quarter. Planned maintenance began at the beginning of the quarter at one major US producer, although no impact was expected to supply levels. Asian imports were expected to remain steady into the US market, keeping pressure on prices. Demand for PC is expected to remain steady. US producers’ market share is expected to continue to be affected during the quarter by more attractive pricing from Asia. Imports at significantly lower prices should keep downward pressure on pricing for US-made material. Made-in-China tariffs will continue to impact the US. We offer the following regional Polycarbonate analysis and news coverage to keep you informed of factors and developments affecting prices in the Polycarbonate marketplace. 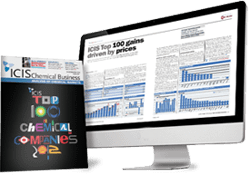 Over 25 years of reporting on key chemicals markets, including Polycarbonate, has brought global recognition of our methodology as being unbiased, authoritative and rigorous in preserving our editorial integrity. Our global network of reporters in Houston, London, Singapore, Shanghai, Guangzhou, Mumbai, Perth and Moscow ensures unrivalled coverage of established and emerging markets. Polycarbonate resins are tough thermoplastics with major markets in the electrical/electronic sectors such as computer and business equipment, optical discs, glazing and sheet products and in the automotive construction industries. Other uses include safety helmets and shields, housing components, household appliances, water cooler bottles, lighting fixtures, sporting goods, and aircraft and missile components. Polycarbonates are long-chain linear polyesters of carbonic acid and dihydric phenols, such as bisphenol-A (BPA). It is hydroscopic, has only fair chemical resistance and is attacked by many organic solvents. Polycarbonate is naturally transparent, with the ability to transmit light nearly that of glass. It has high strength, heat resistance, and excellent dimensional and colour stability. Different grades of the polymer are available and the grades vary by strength, clarity, moulding temperatures, service temperatures and other parameters. Polycarbonate is also used in compounds or blended with other resins such as acrylonitrile-butadiene styrene (ABS) or polybutylene terephthalate (PBT).